In the village of Estero, Florida, there are somewhere in the region of 5000 homes. Every home and business in the area want to be safe, and while security measures would seem to protect the inhabitants from most problems, it won’t protect them from the weather. Nobody wants a damaged roof, and we pride ourselves on offering the best roof repair and replacement service Estero has to offer. We are specialists in professional roof replacement services for commercial and residential customers. We’re based in Southern Florida, so our roofing services are ideally located to serve Estero and the surrounding areas. Our team has a wealth of industry knowledge and years of experience. We’re fully qualified in all aspects of roofing, so no matter what needs doing to your roof, we’ll be able to handle it. The climate of Southern Florida is often warm and sunny, but hurricanes and rain can make an appearance at almost any time. A professional roofing service can ensure that you are protected against the harshest weather and improve the look of your building at the same time. A well looked after roof makes a building seem cared for. A roof that is old and worn or suffering from other kinds of damage can lead to structural problems as the ingress of water can weaken supporting structures – including walls. We want to help you keep your building structurally secure and safe from all kinds of weather. Tornado Roofing provides a range of roofing services in Estero, Florida, including full roof maintenance, roof replacement, roof repair, and an emergency roof leak repair service in case you find a leak that needs dealing with quickly. Estero was originally established by followers of Cyrus Teed who believed we lived in a hollow earth. While this has been shown to be untrue, it is a fact that the village has been around since the 1890s and therefore has many different kinds of buildings within it. 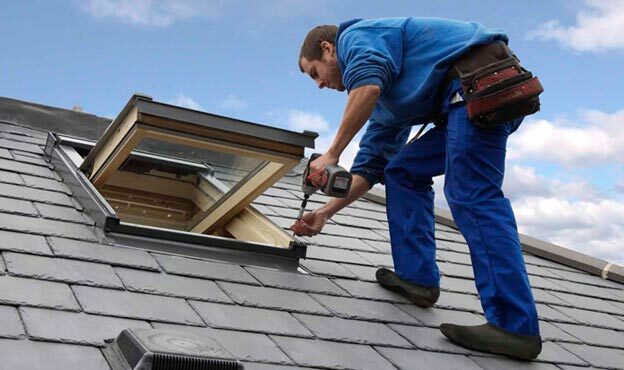 We can repair, restore, renovate, or replace your roof with a range of materials. As a tile roofing company, we can repair or replace broken or damaged tiles – but that’s not all. We’re also a metal roof company and can repair or replace your metal roof anywhere in or around Estero. And yes, we’re a shingle roofing company too, so if your shingles need attention, get in touch today! We tackle all kinds of roofing problems in Lee County, including holes, leaks, storm damage, or anything else you can imagine. Our team is very experienced and has the knowledge to tackle any problem we face with confidence. We use equipment that is specifically chosen to get the best results, and our customers can really see the difference when we’ve worked on their roof. We know that in an area that can be subject to the powerful force of hurricanes, you need to keep a strong roof in place to protect your building. Commercial roofing and residential roofing jobs are of equal value to us as we always put the needs of our customers in the first place, no matter what. Our team is made up of highly-skilled and extremely well-trained roofing experts, all of whom have a passion for the roofing industry. We believe that safety is the most important aspect of our job, and so we always meet and exceed all required safety standards. This protects our team, but also protects our customers and their buildings. We want you to trust us, so we do all that we can to make you certain that your roof is in safe hands. We’ve had experience of and are happy to work on a wide variety of buildings with a range of roofing materials, so we’re confident that we can resolve any issue you may face with roofing in Estero, Florida. The team work hard to ensure our customers are happy, as we build a reputation through the quality of our work and by gaining customer referrals. Nothing satisfies our team more than being recommended to a new customer, and so we do everything we can to make sure this happens. We want your friends, family, and colleagues to hear about what we’ve done for your building and hope that the news will always be good. Nothing builds trust more than a recommendation from a previous customer, and nothing gets a recommendation faster than doing a fantastic job. We strive to provide an excellent service using quality materials, and we make sure our pricing structure is clear and transparent. We hate having to pay for little hidden extras, so we don’t add any to our jobs – and that’s a promise. Our prices are competitive and affordable because we want to give you the best opportunity to have your roof put in good order. If you have a project you need us to tackle, please get in touch – we’ll do whatever we can to help. Estero might not get a lot of rain, but there’s more than one reason for having a good quality roof. If your roof is starting to fail or showing signs of deterioration, we’ll repair or replace your roof no matter what material it was originally made from. We’ll only ever complete work that is required, as our business thrives on trust. We complete only the jobs that will increase the safety or improve the integrity of your roof. A roof replacement can be a big job, and we don’t take it lightly. Our team of roofing professionals are ready to take on your commercial roofing or residential roofing jobs, and we’re ready to delight you with our work. Get in touch with us today to discuss any roofing problems you may be facing. 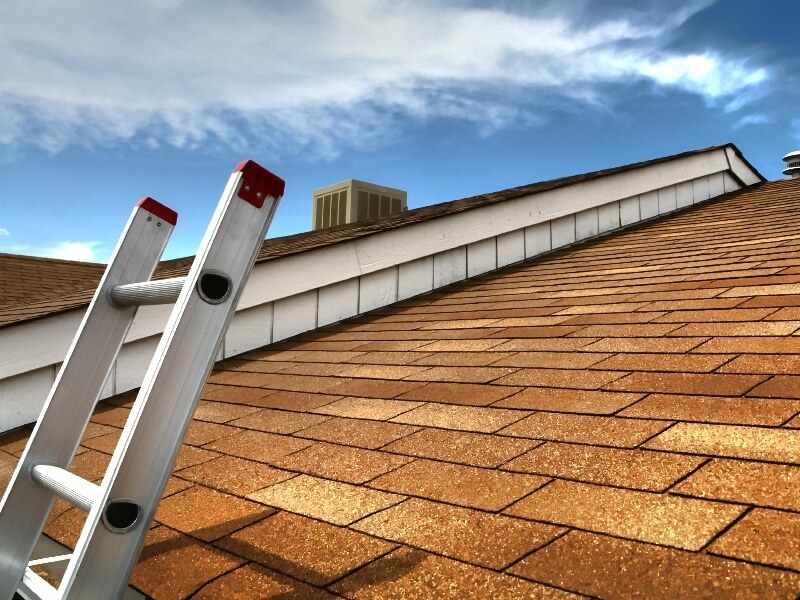 We’re happy to repair or replace your roof anywhere in Estero. Remember, we work to very high safety standards and always put our customer’s needs first. We’re proud of Estero, and we’re proud of our ability to keep your roof in Estero looking great.